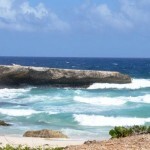 The most secluded beaches in Aruba can be found on the rougher north-east coast of the island. That is where you’ll get to know the wilder side of the tropical island, with beaches that are best reachable by all-terrain vehicles as the roads that lead to them can be rough and rocky. It’s best to rent a car in Aruba if you’d like to visit them. Overall, swimming or snorkeling at these beaches is inadvisable, as the waters can be wild here due to the trade winds and strong ocean currents. Generally, these secluded beaches do not offer any facilities, so it’s wise to bring your own food, water, some clothing and protective beach shoes and a hat or a cap, but also sunscreen lotion to protect you from the sun. If you’re into water sports, don’t forget to bring your bodyboarding, surfing or kitesurfing gear! Mangel Halto Beach is a secluded beach that is located on the southeast coast of Aruba. 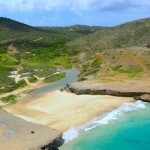 In fact, it is the only secluded beach you’ll find on this side of the island. The beach is approximately 600 meters long and is divided into several parts with sugar-fine sand and typical vegetation. 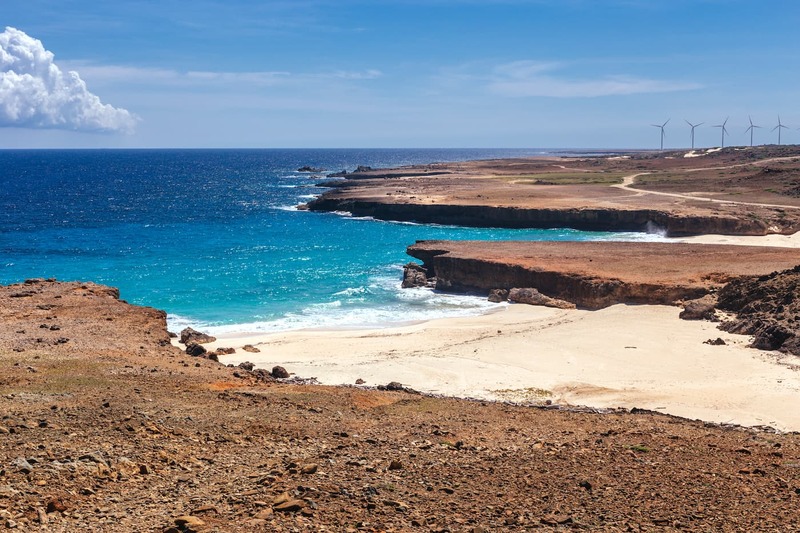 Up north, you will find the Spanish Lagoon, a characteristic point of interest of Aruba, that extends for more than 1.5 kilometers into the mainlands. The beach is well known for its mangrove vegetation and the Mangel Halto Reef that is nearby, you can even walk to it through the shallow water. 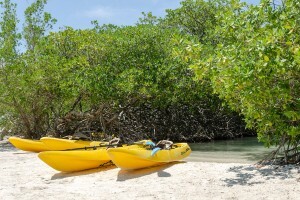 You’ll find great snorkeling, scuba diving, and canoeing opportunities here, both for the novice and the experienced. The marine life here is just phenomenal. If you are looking for shallow, calm waters or just a place to enjoy the sun, go for a swim with your children, or have a picnic and meet some locals, Mangel Halto Beach is the right place to go! Savaneta Beach is a small and secluded stretch of white sand near the south coast of Aruba. It’s only about 50 meters long. Off to the right is another stretch of maybe 100 more yards, called Santo Largo Beach. If it’s only you and that special someone or maybe a small family gathering, there’s plenty of room for everyone. During weekends you might see a lot of local people hanging out here, but on weekdays, you might have the place all to yourself. Occasionally you’ll see a shore diver or someone who wants to go snorkeling. Or you’ll see a guy walking down the beach with a net doing some bait fishing. There are no facilities here so bring a cooler with you, relax and enjoy the sunshine. From Oranjestad, it’ll be a 6.5-mile drive. Dos Playa consists of two coves that both have rather narrow beaches, offering views over Dos Playa Bay. 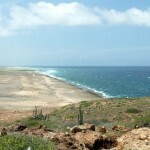 One beach is about 100 meters wide and stretches for about 200 meters into the mainlands of Aruba. The most northern beach is approximately 70 meters wide and continues for about 100 meters into the mainland. The amount of sand is ever changing on both beaches because of the strong northeastern trade winds. From Dos Playa, drive or walk a little over 1-kilometer to the southeast and you’ll get to Boca Prins. 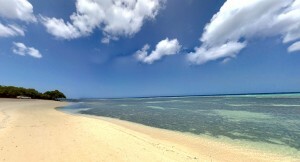 It is a very small beach that is only about 55 meters long. 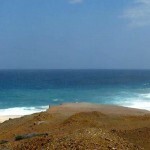 It is part of the Boca Prins Bay and is surrounded by cliffs on the east coast of Aruba. Because of the currents and the high waves, it is dangerous to swim or snorkel here, you have to be an experienced swimmer but it is not recommended at all. Boca Prins is a popular surfing spot. Andicuri Beach definitely belongs on the list of most secluded beaches in Aruba, and it’s one of the most beautiful beaches on the north-east coast at the same time. Known for its tranquility, its beautiful landscape (the beach is surrounded by limestone coast with ledges that offer shade) and the very clear water that is always in motion because of the constant waves entering the cove. Andicuri Beach is a perfect spot for bodyboarding and kitesurfing, but swimming or snorkeling is not recommended as the waves and currents are just too strong at this beach. Grapefield Beach is located north of Boca Grandi. It is a rare combination of cliffs to the left and beautiful beach on the right. Grapefield Beach is a quiet beach that is about 600 meters long and stretches on for about a kilometer to Rincon Bay where the beach ends. Swimming or snorkeling is not recommended here.